Taking care of another person can be both incredibly draining and amazingly rewarding. 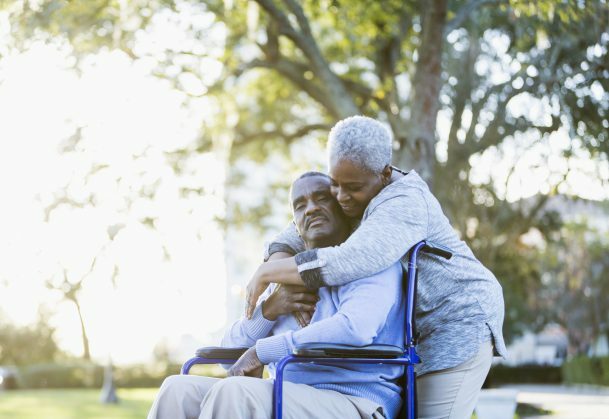 Most research on caregiving has focused on the benefits to the person receiving care, but an emerging body of research suggests that – under the right circumstances — providing support also benefits caregivers. There’s often an assumption that the person who receives care reaps the benefits at the expense of the person providing care. Previous research has shown that caregiving is often associated with increased stress – both emotional and financial. However, University of Pittsburgh psychological scientists Tristen K. Inagaki and Edward Orehek have identified two factors that can determine whether providing support might also benefit the caregiver as well: When providing care is a choice and when support is perceived to be effective. But in a new article published in Current Directions in Psychological Science, Inagaki and Orehek point to a growing body of evidence that providing support can also be beneficial, leading to reduced stress, increased happiness, and increased sense of social connectedness. Infants require years of dedicated nurturing, which has led humans to develop a natural capacity to care for others – including friends, romantic partners, and family members. Thus, it makes sense that humans have also developed mechanisms to ensure that caregiving behaviors are also rewarding and pleasurable. For example, research has shown that giving a gift to someone else has been linked to an increased self-esteem, self-worth, and feelings of social connection with the recipient. Even among animals, caretaking behaviors, such as grooming, can be linked to lower stress levels and fewer anxiety-related behaviors. In an experiment conducted by Inagaki and Naomi Eisenberger (University of California, Los Angeles), participants wrote either a supportive note to a friend in need or wrote about a neutral topic. Those who thought they were helping out a friend benefited by a reduction in stress. Consistent with these findings, an intervention outside the lab showed that being randomly assigned to give money to others (versus spending money on oneself) led to lower resting blood pressure. Recent neuroimaging experiments demonstrate that specific brain regions are more active during caregiving. In one experiment, participants held a romantic partner’s arm while he endured a series of uncomfortable shocks. Those who provided emotional support had increased activity in both the ventral striatum and septal area, neural regions associated with pleasure and reward. Other neuroimaging experiments have shown increased activity in the ventral striatum when people give money away to charity or friends compared to winning money for themselves. Previous research has shown a strong link between social support and longevity, and Inagaki and Orehek are interested in exploring whether caregiving behavior might also impact longevity. “To gain a richer understanding of the association between social ties and well-being, an important future research direction is to not only consider the support receiver but also emphasize the support provider,” they conclude.